I've had lots of challenges in my life, as anyone who knows me well can verify! But, whatever doesn't kill you makes you stronger - so I'm one tough chick!!! Great family - my sisters are still my best buds - great kids - marriages to wonderful men (even the one I divorced is a great dad and good person). At this stage of my life, I am lucky to have my family, good friends, faith, and the grandkids I adore. I've had a fun career and met tons of nice people. I am blessed to have so many TL classmates still in my life! I think I enjoy working on these reunions because I do have fond memories of high school. We grew up in such an amazing time in our country, and our lives, tho we didn't know then, were pretty simple. I feel blessed to still have so many friends from that part of my life. Lynn Regalia Rode-Lamuth has left an In Memory comment for Profile. Mitchell E. Lang, 65, of Manalapan passed away on Sunday, November 12, 2017 at CentraState Medical Center, Freehold Township. He was born in Ross, California and lived in Marin County, California before moving to New Jersey 10 years ago. Mitch was a K-9 officer and proud police sergeant in San Francisco for 25 years, retiring in 2007. He was also a volunteer fire fighter for Manalapan Township Fire Company No. 1. Mitch was truly larger than life, always there to lend a hand and make everyone laugh. He enjoyed fishing for salmon outside the Golden Gate bridge, scuba diving, and was a black belt in judo. Mitch is survived by his wife of 25 years, Alexis Lang of Manalapan; sons, John-Paul Lang of Flemington and Cooper Lang of Manalapan; a sister, Marsha Lang of Eureka, California; sisters-in-law, Caroline Febus and her husband, Chico of Cherry Hill and Marcela Monahan and her husband, John of Manalapan; nieces and nephews, Kimberly, Lisa, Michael, Bridget, Kiley, Patrick, Mary Grace, Kathleen, Shannon, Cecilia, Margaret; and his fur babies, Chewy, Murphy, and Sydney. Lynn Regalia Rode-Lamuth has a birthday today. Lynn Regalia Rode-Lamuth has a birthday today. New comment added. 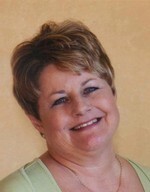 Lynn Regalia Rode-Lamuth added a comment on Profile. Lynn Regalia Rode-Lamuth added a comment on Ann Pfeiffer Franklyn's Profile. Lynn Regalia Rode-Lamuth posted a message. Youngest daughter, Kelly, her husband Brian, and Ciera (5), and Joe (4) at their home on Long Island, NY. Brian is a banker, Kelly is a new Realtor. Oldest daughter, Traci and husband Rob, at their wedding 5/08. Rob's kids, Robbie & Katie, both 10 years old, both live with Rob & Traci full time. Traci works at a hospital in Yuba City and Rob is a butcher, and owns a company that makes stuff (I have no idea) for fisherman. Step daughter, Donna, retired from Phillip Morris as a sales manager, and husband Ray (teacher & basketball coach Woodcreek High, Roseville), Kaylie 7 and Kaitlyn, 5. Step Daughter, Lisa, husband Charles. They live in Australia where Charles is a research scientist and Lisa works for a non profit. Nicholas is 7 and Madeline is 4.